Millions of Muslims across the country are celebrating the holy month of Ramadan. But many are saying the narratives and representation of a certain and often neglected group remains absent year after year, even though their ancestors were the first to practice the sacred observance in the United States. Donna Auston, a Black Muslim activist and doctoral candidate in anthropology at Rutgers University, started the #BlackMuslimRamadan Twitter campaign last week, which has since gone viral. Aiming to celebrate the cultural heritage of Black American Muslims, Auston told NBC News that she wants to reverse the absence of Black Muslims’ narratives in the media, especially during the holy month of fasting. “I don’t see people who celebrate that look me,” she said. “The first Muslims in the United States were African slaves, but if you look at most of the narratives and depictions of who American Muslims are, the black experience is not there. It’s mostly about Muslims of Arab or South Asian descent." Soon after Auston kicked off the campaign, tweets started pouring in about the history of Black Muslims, discussions around dual discrimination - racism and Islamophobia - they face as Black Muslims and foods with which they break their fasts. A 2007 Pew Research Study estimated the total U.S. Muslim population to be around 2.35 million, of whom twenty percent are Black. Some participating in the Twitter campaign shared family pictures and tributes to legendary Black Muslims including Malcolm X and Muhammad Ali, who both have played an integral role in American culture and civil rights movement. “I wanted to see us and I was saying instead for waiting for someone else to represent our corner of the world, why not do it for us,” Auston said. Roughly 15-30 percent of enslaved Africans were Muslims, according to Khaled Beydoun, a professor at Barry University Dwayne O. Andreas School of Law and an affiliated faculty at the UC-Berkeley Islamophobia Research Project. In face of despite being subjected to “rigid slave code” laws, he says, enslaved Muslims still fasted. While the American Muslim community is diverse, Auston said racism is an ongoing problem. She recalled seeing parents refusing to accept potential marriage of their children if the partner is Black. The holy month started on July 17, the same day when a 21-year old white man gunned down nine Black worshippers during a Bible study session at a prominent historical Black church in Charleston, South Carolina. The racially motivated massacre resonated with Black American Muslims. 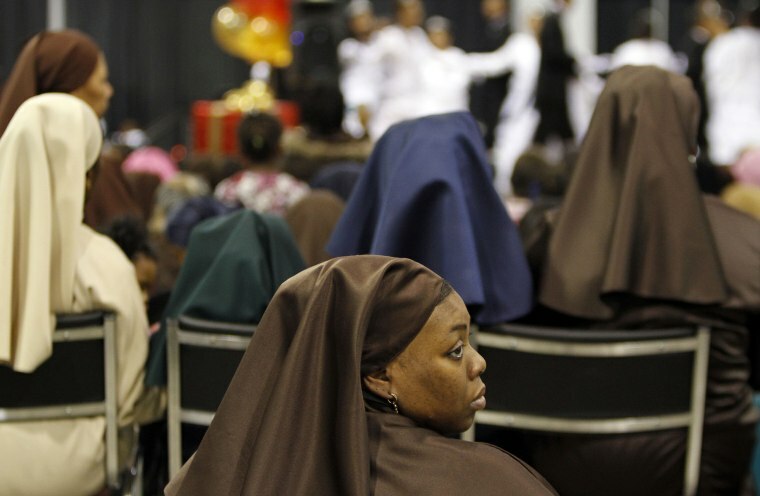 A coalition of Muslim groups, led by an African-American Muslim woman, recently launched a campaign to help rebuild eight predominantly Black churches that were severely destroyed by string of fires days after the shooting. “The most rewarding part is that it struck a chord with people,” she said.